The closer man and machine work together, the more efficient work practices become. However, safe interaction between human and robot increasingly demands new technologies and solutions. Also, the demands on safety increase, the closer human and machine get to each other. 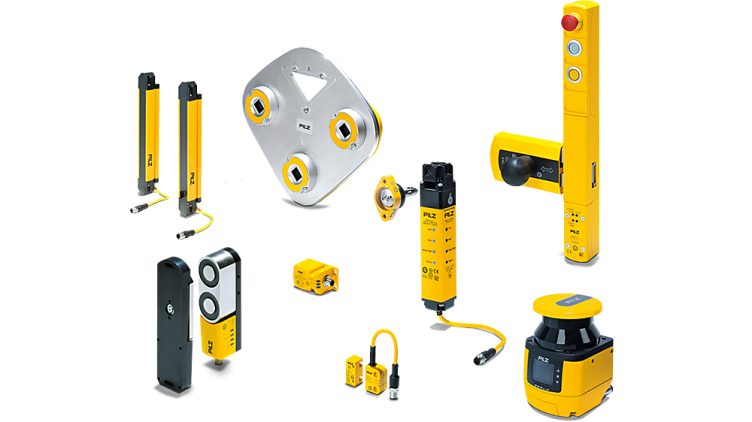 To verify the required safety level, the entire safety function must be considered – from the sensor to the logic and beyond to the actuator. Safe human-robot collaboration (HRC) can only be guaranteed when all these factors interact in a co-ordinated manner. We have compiled the substantial aspects and requirements for safe robotics for you. 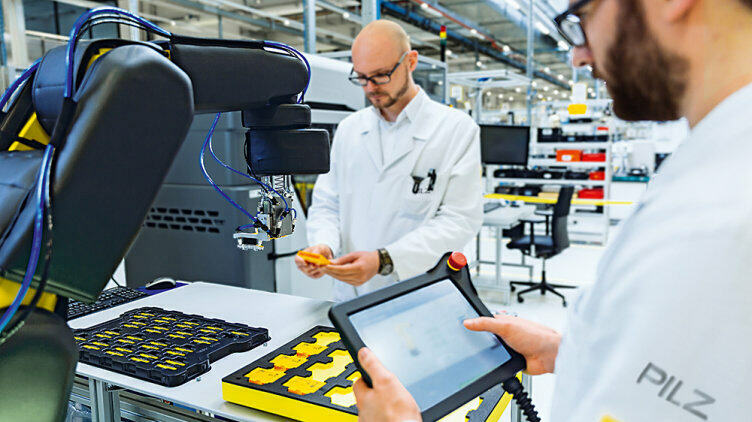 How is the market for robotics developing? What is the current status of standards? What steps will lead to a safe robot application? Each robot application must be considered individually in terms of safety. 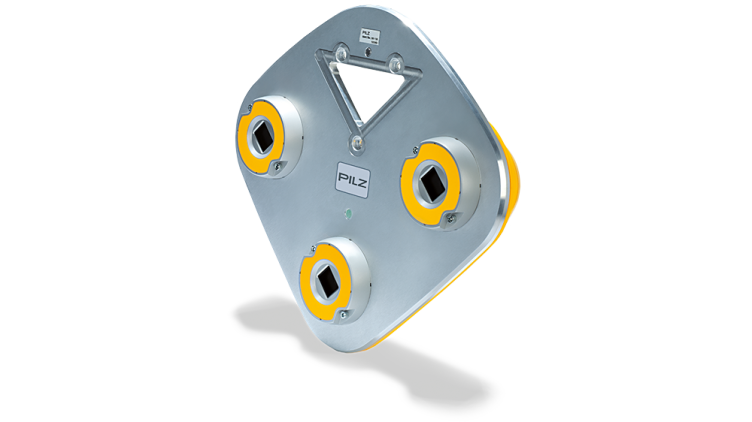 Pilz provides support with a range of services tailored to the individual life phases of a robot system: From application analysis to risk assessment in accordance with EN ISO 12100, through to CE marking. Our safety solutions meet the specifications of DIN EN ISO 10218-2 and ISO/TS 15066. And to complete the range of services, we have a range of training courses on robot safety. 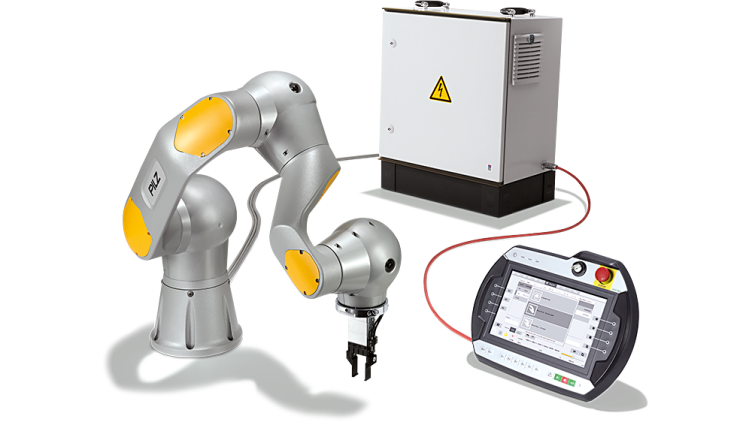 For area monitoring of human-robot workstations without safety fences, the safety laser scanner PSENscan and the pressure-sensitive safety mat PSENmat are the ideal choice. Should anyone enter the action radius of the hazardous movement, the robot's movement is braked or stopped in a controlled manner. With the safe 3D camera system SafetyEYE, guard-free workspaces, which are shared by human and machine, can be monitored safely. SafetyEYE identifies when there are people within the robot's action radius or when anyone has accessed a zone with an increased safety level. In this case the robot's movements will be slowed down or stopped. Use the new service robotics modules to assemble your individual robot application. They consist of the manipulator PRBT, the control module PRCM, the operating module PRTM and ROS modules. The modules can be combined individually and they are designed for tasks in service robotics and industry. Of course we can also support you with safe control systems and safe sensor technology as you work towards a safe robot. Find out more about our wide range of products! 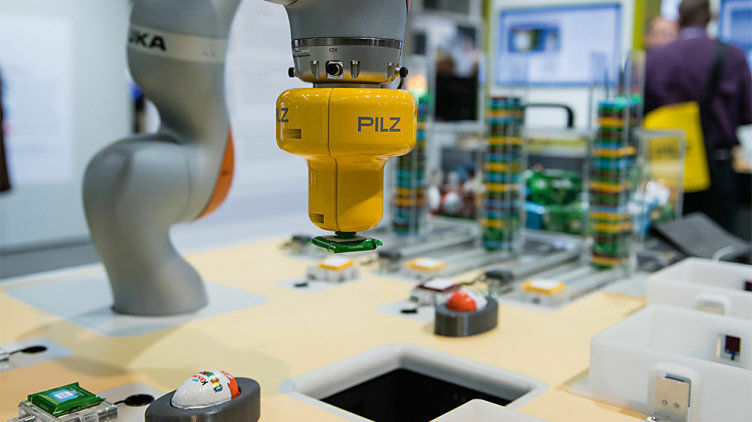 Find out more about our robotic solutions! 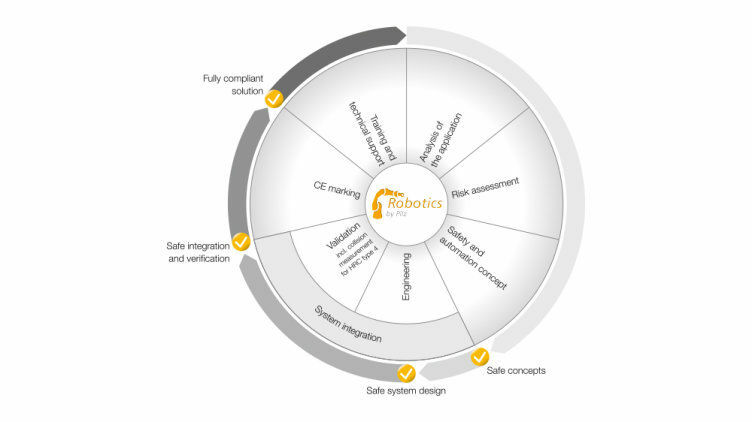 Safe human-robot collaboration in accordance with ISO/TS 15066 - at a glance!